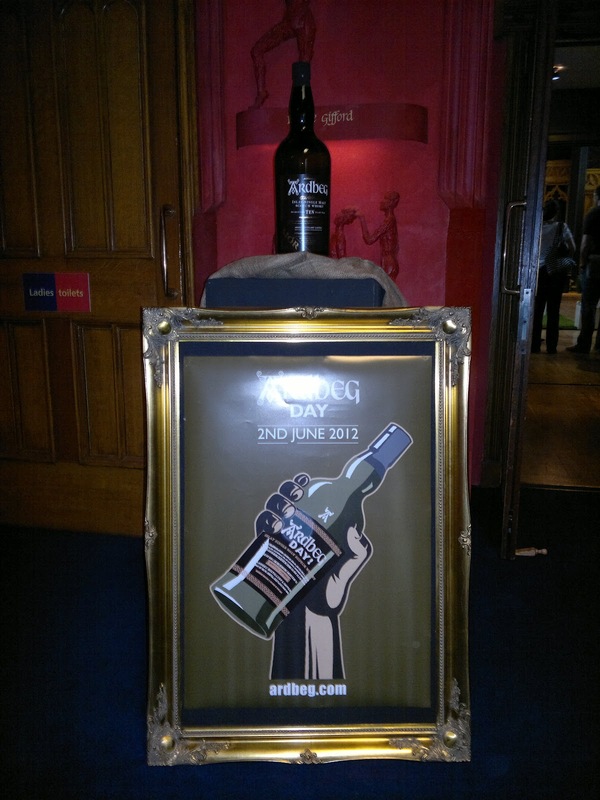 Ardbeg Committee members who couldn't make it to Islay had the chance to put their name down for an event at the Hub in Edinburgh, just a stones throw from the castle itself. 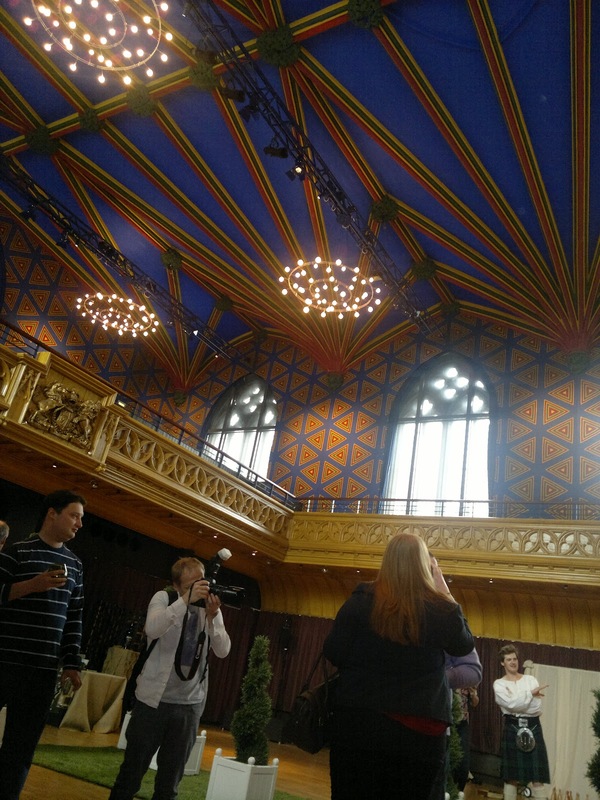 It's not a venue I've visited before and downstairs is a thriving cafe and tourist 'hub' that is constantly busy. 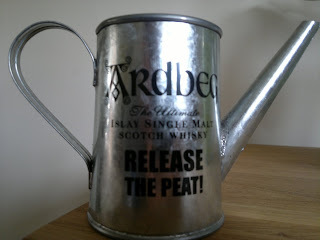 Ushered upstairs to the Ardbeg event, we were ready for the Peat-athlon games. A beautiful hall, did provide a picturesque setting, I actually had to sit down on one of the hay bales to take in the view. 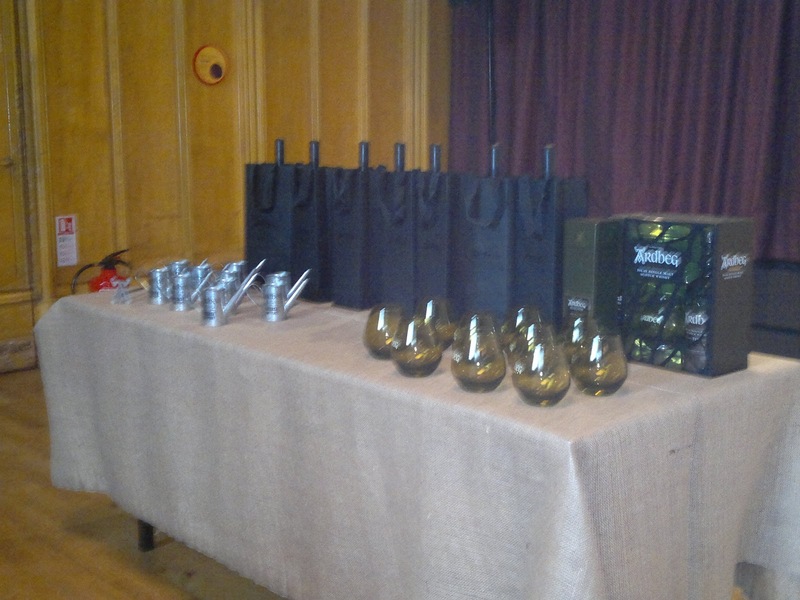 The Ardbeg crew had been busy laying out 3 games for the competitors to enjoy, along with a constant stream of drams (10yr malt) and tasty snacks from the kitchen including peaty pie, haggis balls and a lovely shortbread and caramel pot. 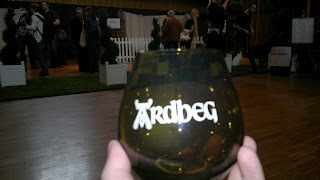 I wish I took more photographs during proceedings, but I was having such an enjoyable time taking part, talking to other Ardbeg fans and watching how others did, that I actually forgot to take more snaps. 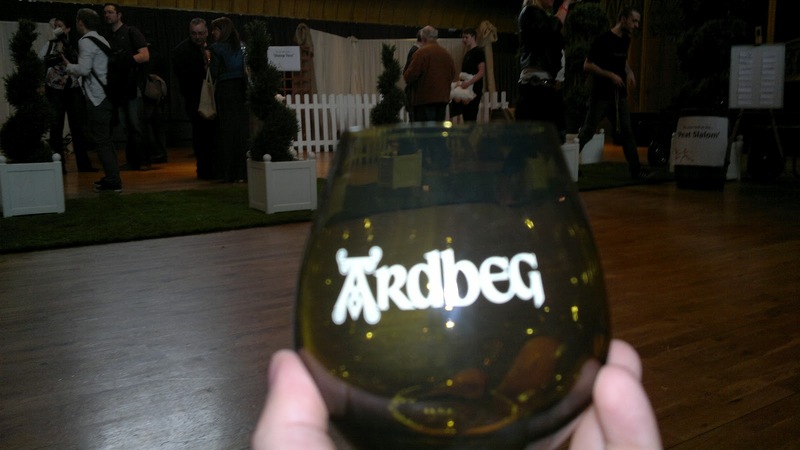 The distinctive Ardbeg glasses were aplenty along with water or orange juice for those not able to partake in the 10yr malt. I shouldn't need to go into describing this ferocious dram, Drambassador Karen Fullerton did a great job of this later on, when the games ended at 2pm. 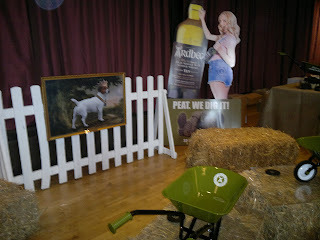 The props all tied into the Ardbeg vision including the mascot himself and those mini-wheelbarrows which are next on my hit list. 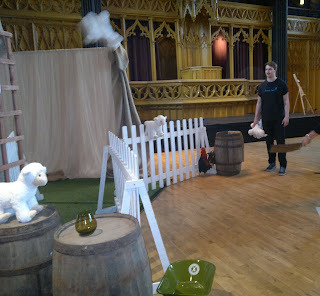 The games themselves included tossing rings onto whisky barrels that I must say was harder than I could have envisaged. Committee members were crafty devils, trying various techniques to hoop the barrels, some with more success than others. The 'sheep toss' was perhaps the most popular and I'd say the most difficult event of all. 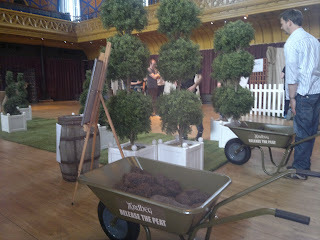 Using a spade, competitors had 3 sheep that needed launched into wooden boxes behind daunting fences. This was the source of much fun, with sheep raining down from all angles. No single way seemed the best, with volleying, flicking, overhead and just scooping all attempted. I've still got a twinge in my elbow from this deceptively tough challenge. 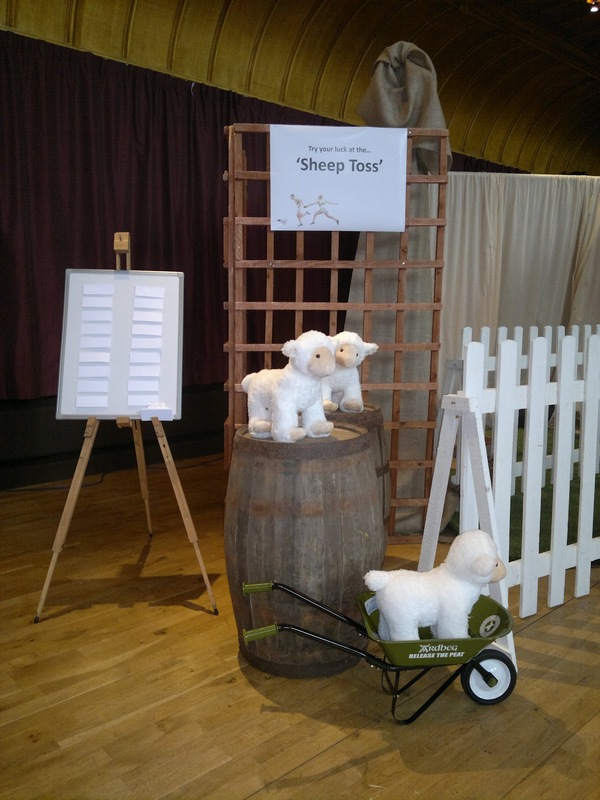 4 sheep (inc a bonus 1) was the top score and the result of much practice I expect! The main event was the peat slalom that took up the main avenue of the hall. 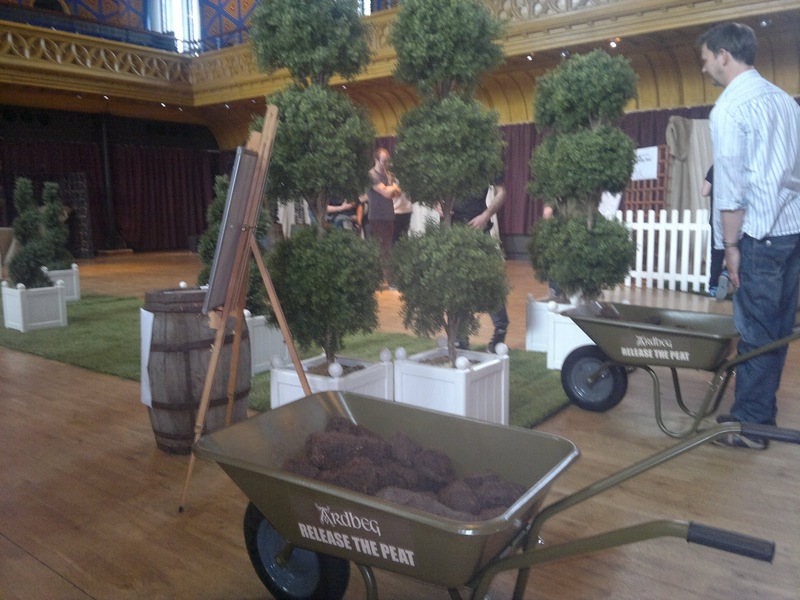 Laid out on grass were various obstacles and you had to zoom past with your Ardbeg wheelbarrow, turn around and return to the start line in the quickest time without spilling any peat. The top score was a mighty 8.03 seconds, I actually came second with 8.3 and had my eye on improving that but was beaten by the closing bell. However throughout the competitions there was much banter and hilarity, everyone seemed to be coming together and enjoying the event. The only disappointment was that more Committee members weren't attending, as a great of thought and effort clearly went into the event from the team. At the end of the games Karen brought forward the main event; the Ardbeg Day release. 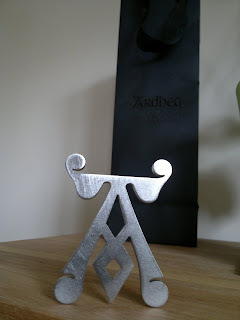 This wasn't for sale (online seems to be the only place I know of), however she took us through the background to the meaning of today and why Ardbeg is celebrated. Then moving onto the 10yr malt we all had a good tasting before special whisky was released. 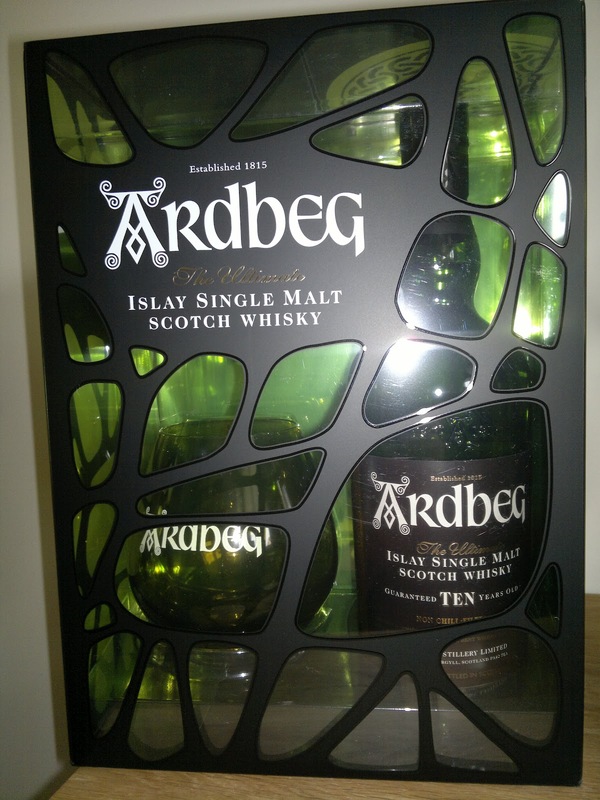 A much darker appearance than you associate with Ardbeg, a rich creaminess and honey infused dram with a spectrum of flavours. Well worth the wait for and one I'll look forward to again when Parcelforce make the delivery hopefully next week! 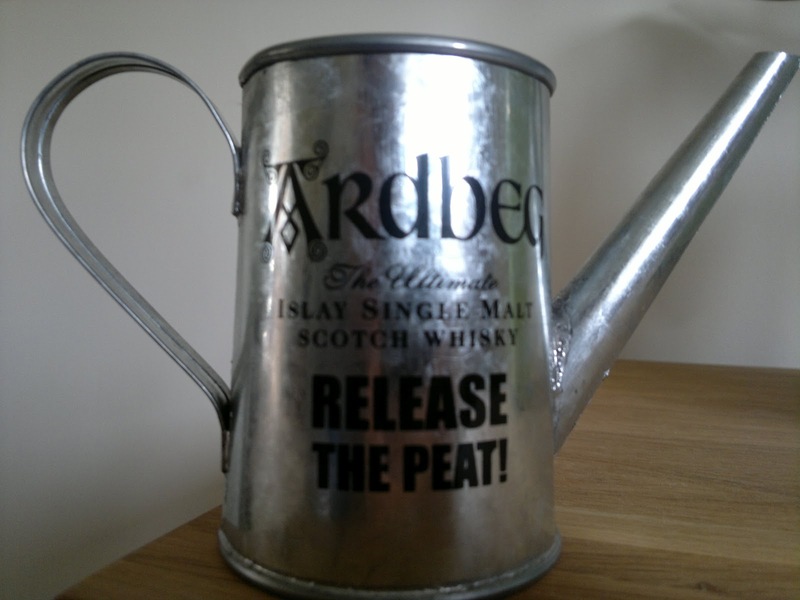 Some great prizes were on offer, I was quite happy with the watering can above that I can add that wee drop to drams in the future. M actually won an Ardbeg branding iron for her efforts! A heavyweight item, I'm sure Ardbeg fans would love to have this weird branding instead of a tattoo. The mascot picture was handed out to one lucky event winner, a bottle of Uigeadail to another and various runner up prizes with the overall winner receiving an Ardbeg gift pack and a trip to Islay, what that actually involves I'm sure we'll find out! It's a tremendous prize. 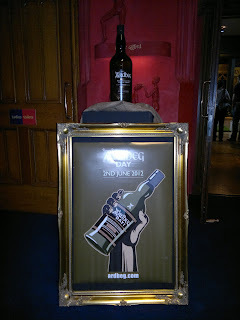 So Ardbeg Day in Edinburgh with the Islay-limpic Peat-athlon games was a successful event and all those in attendance enjoyed the festivities and competitions. 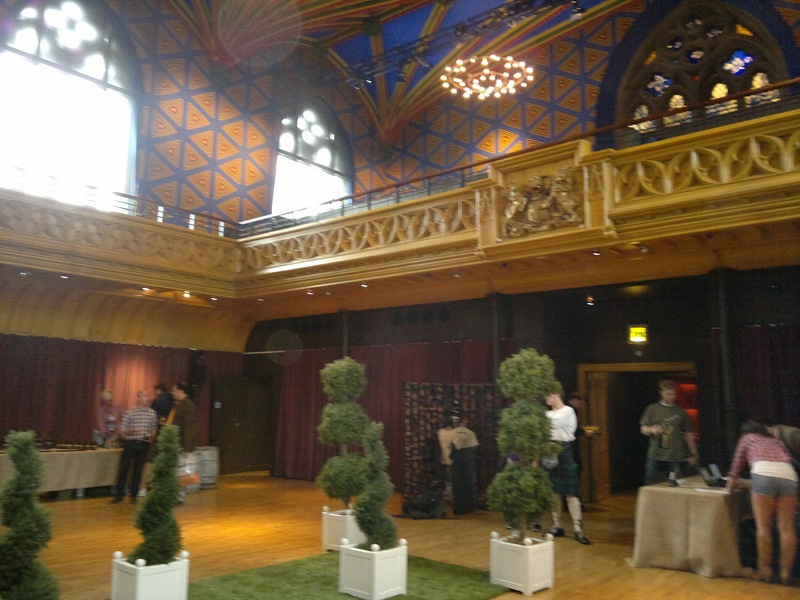 It is amazing how things unfold with a dram and a warm, inviting atmosphere and a touch of competition. Great stuff!